Since it's been a while since our last update, we thought it was about time to inform you of the new features, we've "snuck" into primaERP. "Attendance by primaERP" - the android app has had some minor updates, so working with it is easier and faster. We've also been working on some bug fixes as well as giving you the possibility of having a monthly or weekly timesheet. Also, we created an additional role: the Attendance user. This user can only clock in and out and see his timesheet; he can not edit time records or delete them for that matter. He doesn't have to worry about anything but track his work time in real-time. The advanced attendance user can edit time records, so if you have a larger team, this enables you to give certain rights to certain users. 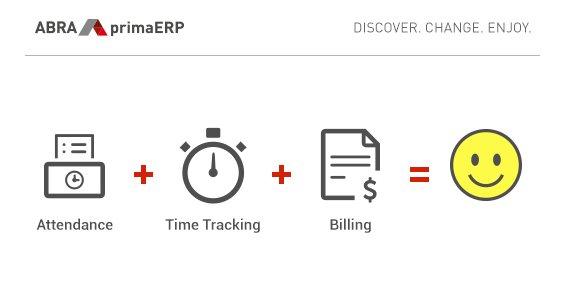 "Time Tracking by primaERP" - it is now possible to track your time per client on the Android app. 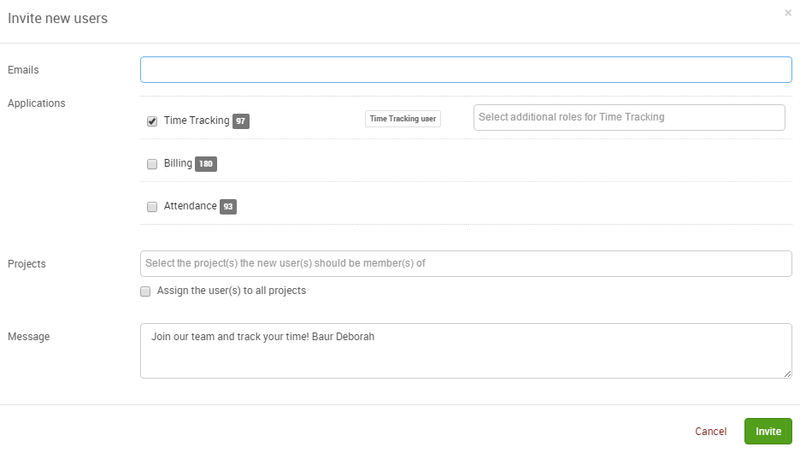 This means that you can just choose the client and track your time or select the client and his projects. This improves the mobile experience, as many users track the time just per client and activity. We've also had questions about the role of the Time Tracking user and their ability to create projects. There isn't a great change here, but we've added the warning that the user can only create private projects, which means only he can see the time records related to it; not even the account owner can see them. So please keep this in mind when telling your users to create projects to track their time on. The biggest new feature (for teams) involves both of these modules: the locking of time periods. In both Attendance and Time Tracking can the owner or admin of the account choose a date, and any time record before this date, will be locked. This means, that no one can edit these time records anymore. This is helpful, if you have to bill the time of your team at the end of the week or month. For example, you tell the team to track their time and on the 31st of the month, you lock the time period. This ensures you, that you have all the data and that no one can add or modify any time record. 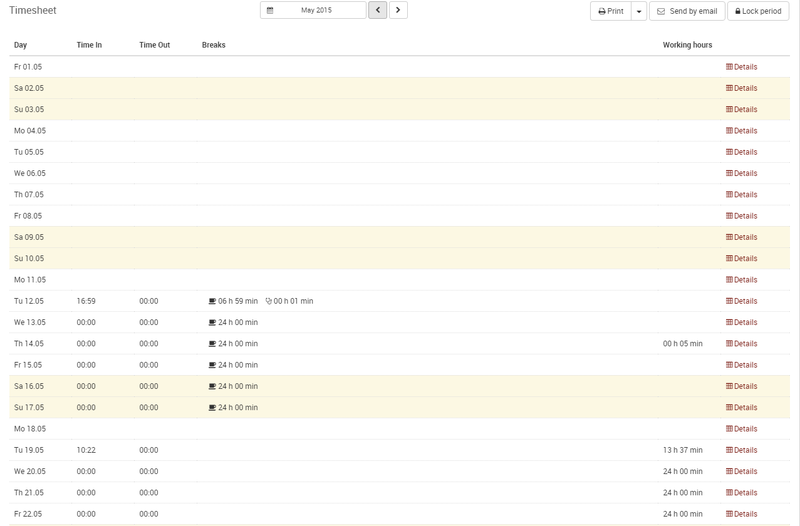 The feature is available in the Time Tracking and Attendance settings under the "time period lock" tab. Once the time records are locked, you will see a warning message when opening it and also see them grayed out in the Attendance timesheet. In this module, there have been some minor bug fixes, as in having the manual items appear in the same order in the app as well as in the PDF. We've also improved the dashboard a bit, but this module hasn't been the focus of big features in the last couple of months. In general for the whole primaERP account, we've facilitated the way of inviting users and assigning them to projects. You can now invite one or several users and in the same window, decide which module they will have access to, what their role will be in each module and also which projects they are assigned to (you can also assign them to all projects with just one click). Similarly, you can create a project and either add members individually or invite all of the users of the account in one click. This really helps, especially if you have a larger team. Also, as you know, we provide primaERP in 7 languages: English, Spanish, German, Portuguese, Russian, Czech and Slovak. As we've received feedback from our users wanting primaERP in other languages, we decided to make it possible by opening up the translation to the user community and are asking for your help to translate the app. Currently, our users are already translating the app into French, Dutch, Italian and Polish. If you would like to help us translate the app to any of these (or other) languages, please contact us at support@primaerp.com. Please note, these languages will only be supported in English.